The ideal Colorado Oasis! This gorgeous 2 Story Main Floor Master & Carriage House backs to Private Open Space and boasts some of the best unobstructed Colorado Mountain Views around! Almost 6,000 finished sqft. total including the additional detached carriage suite which showcases huge separate private office and upper bedroom, living area and bathroom. Enormous yard with concrete edging and spacious patio uniquely designed & built for entertaining, open & efficient, with expansive Outdoor Living* Enjoy the chef's dream gourmet kitchen, outfitted with every appointment! 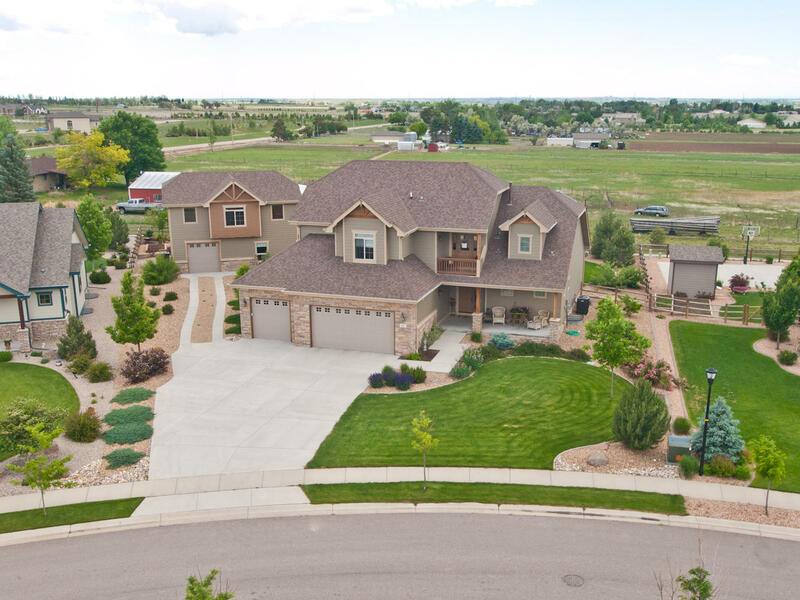 Just minutes from Old Town Fort Collins & I-25, in Clydesdale Estates, the location of this amazing property is convenient for commuting and nestled in a peaceful and private setting. Looking out for miles along the entire front range, the spirit of Colorado is evoked throughout the relaxing outdoor entertainment areas, breathtaking views and spacious living environment appointed with every detail. Enjoy the peace and convenience of a spacious main floor master bedroom suite with large bay window, sitting area, his and her closets, and luxurious master bathroom, with oversized shower. In the spacious finished lower level, relax and enjoy your favorite movie or game with a built in wet bar outfitted with cherry cabinetry, wine/beer cooler, fridge and microwave completely ready for whatever entertaining that can imagined. Enjoy the inspiration of breathtaking views from the 2 story carriage house which can be used as a huge private in home office with its own entrance and guest suite upstairs, in law suite, or perfect getaway for oneself or for old of town guests. Spacious 4 car garage area, with insulated panels in the doors, all finished and insulated with service door and additional outdoor shed on the south side of the detached carriage house. 6,234 total square feet including the carriage house. 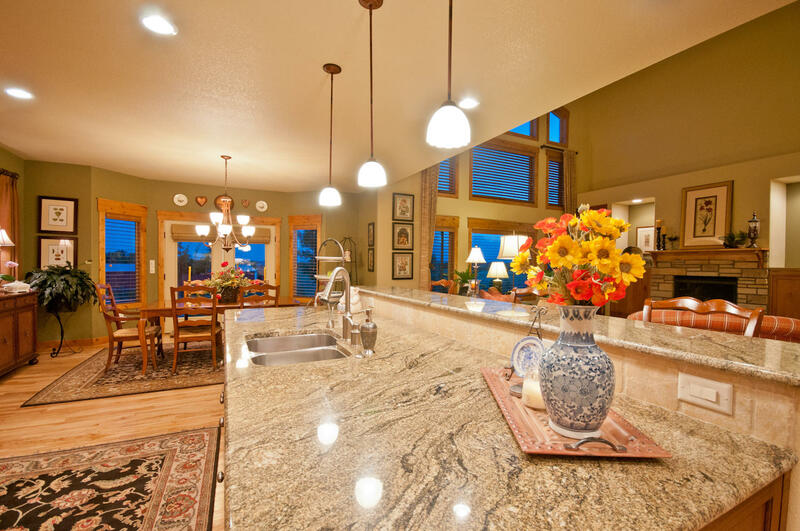 2 High Efficiency Lennox furnaces in the main house and 1 in the carriage house, 2 hot water heater, 3 zones. In wall surround snd speakers in Master Bedroom, Bathroom, Lower Level and outside. Luxurious upgraded carpet and pad throughout. Concrete membrane floors on evening deck. Convenient upper laundry room for stackable system in the pocket closet.